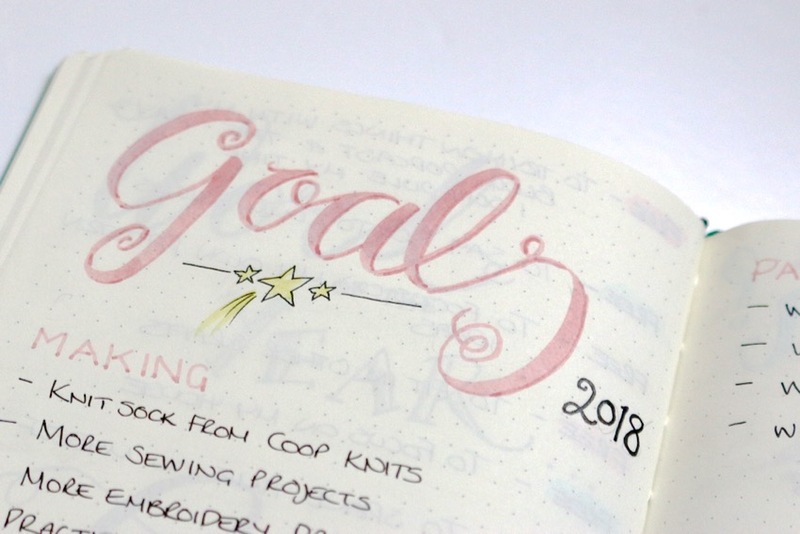 I thought I might talk a little bit about my bullet journal, if that's ok? I know not everyone will be interested in this, so I can understand if you want to pass this one by, but I did get a few questions about it when I posted a bujo* spread on Insta the other day so I thought a little post wouldn't do any harm. sounds better when it has a compound word, right? The official site and to be honest, a bit dry and full of jargon. 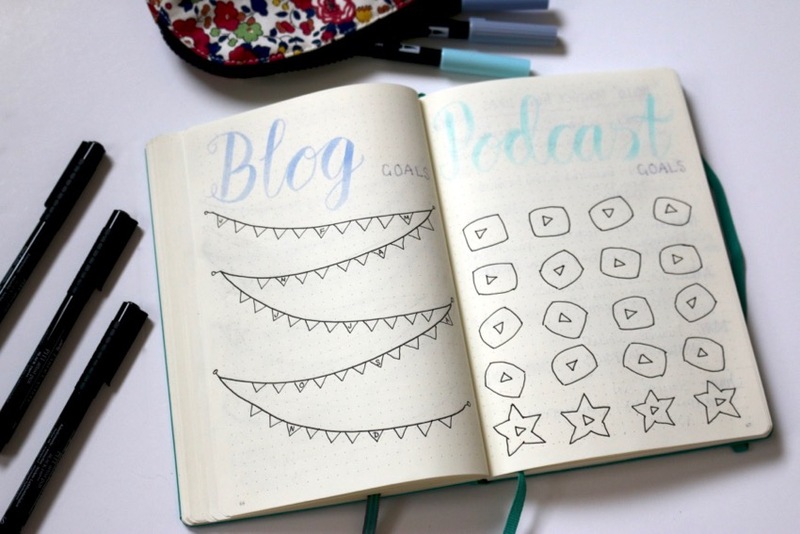 WTF is a Bullet Journal? I found this explanation on Buzz Feed much more useful, but be warned there is the odd swear. Personally, I'm pretty much a paid up member of using technology to organise my life, I use my Mac calendar for the day to day scheduling. I can keep the kid's stuff on there and hubs is all synced into it too, so it works pretty well. 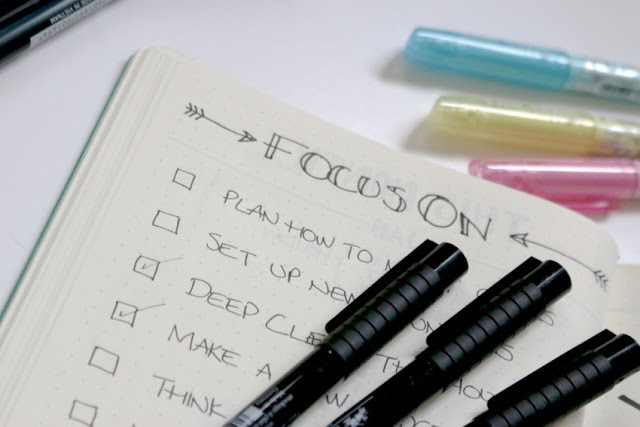 When it comes to digital to-do lists I'm a huge fan of Onmifocus. It's quite a professional bit of kit, so kind of pricy and it can get complicated (if you want it to) but I love and adore it. My life is in that thing, I don't know what I'm doing without it. 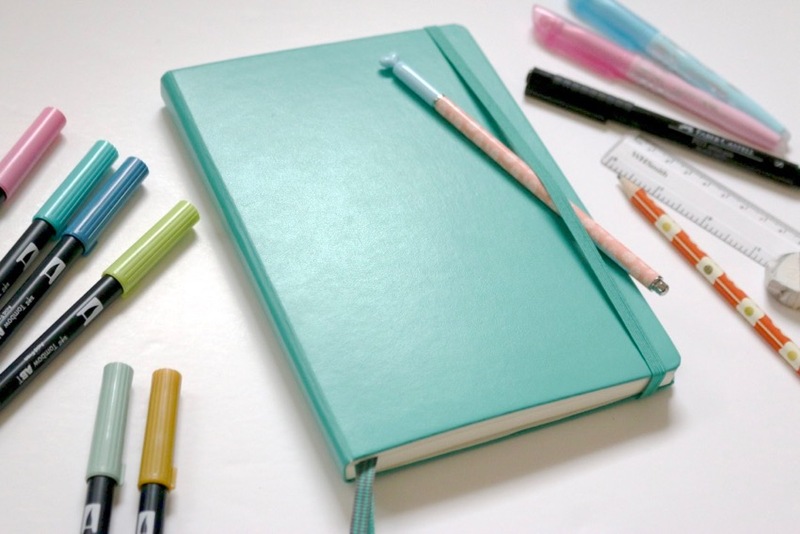 So, as much as I enjoy notebooks and pens and all those adorable bits of stationary paraphernalia and I wish I was a Filofax or Planner kind of girl, I've never found the format of pages in those systems really work for me that well. But that's were bullet journalling comes in. Because, as well as my technological solutions work for me, there are things that don't fit neatly into a calendar or on a to-do list. 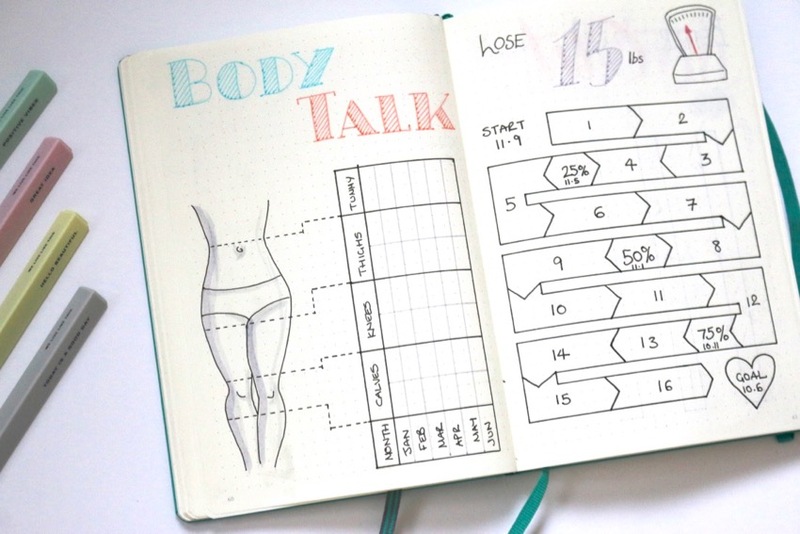 Like keeping track of more general things like 'make more time for sewing this year', or if I actually do manage to exercise at least 4 days a week and keep it up! Because a bullet journal can be whatever you want it to be, and you get to play with stationary, it really appeals to me. Especially the playing with stationary, any excuse to have a genuine use for felt-tips again is good with me! I started mine last year and I'll confess, I didn't keep it up. Things dwindled around April/May kind of time and never got re-started. However, here we are in a brand new year with a whole new wealth of possibilities, so I am trying again. I had some fun over the Christmas/New Year break, setting up my bujo and planning and playing with new spreads for this year and this month. I don't bother with the weekly ones, I don't have a use for those, but I do like the way I can note down all sorts of ideas and plans and although a bujo absolutely doesn't have to be about brush lettering, doodles and colouring in, personally I love that about it. First of all, my 'yearly spreads'. 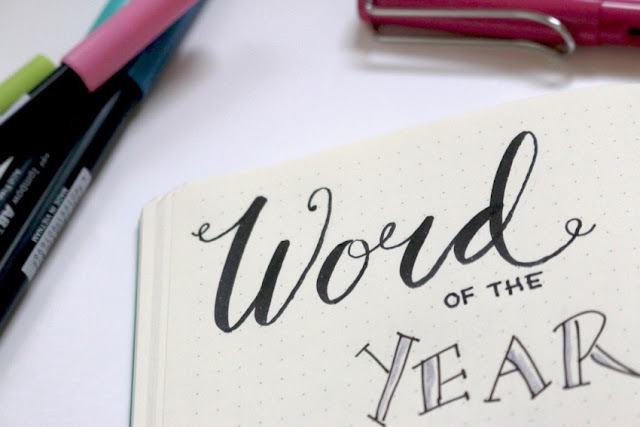 I like to set myself some goals (or vague intentions at least), decide on my 'word of the year' and keep track of a few targets and things through out the year, so I set these up first. I've also noted a few key milestones along the way, as it helps to have mini targets to work towards along the way and I can even give myself little rewards as I hit them. For some reason I love knowing the number of yards I crochet or knit up during a year. I've always done it, but last year I started tracking how much I brought in too. (Out of control stash anyone?) This year I wanted to do the same, so these little bars will get filled up as the yarn ebbs in and out of my stash! And then a few blogging and podcasting goals. I'm usually pretty good with these sorts of things, but I do like the feeling of accomplishment at the end of the year! Not especially photo worthy, but so far I've made a little note of any important dates for the month ahead and I've got a little list of things to focus on this month. The idea is that I can look back at the 'yearly goals' and then plan them in at various points throughout the year. Lastly, because as much as I can plan and write lists of things to do, sometimes life just happens and those things don't get done. I do struggle with this a bit and get frustrated because I feel I haven't accomplished anything at all. But often that's not really the case. I probably still did lots, just not necessarily the things I've planned. So I made a page for a 'done' list, to note down what I did do this month. The to-do list may look a little light on ticks sometimes, but this page will help remind me that doesn't mean I didn't achieve anything. Well, this has turned into a longer post than I ever imagined, so I shall leave it there. 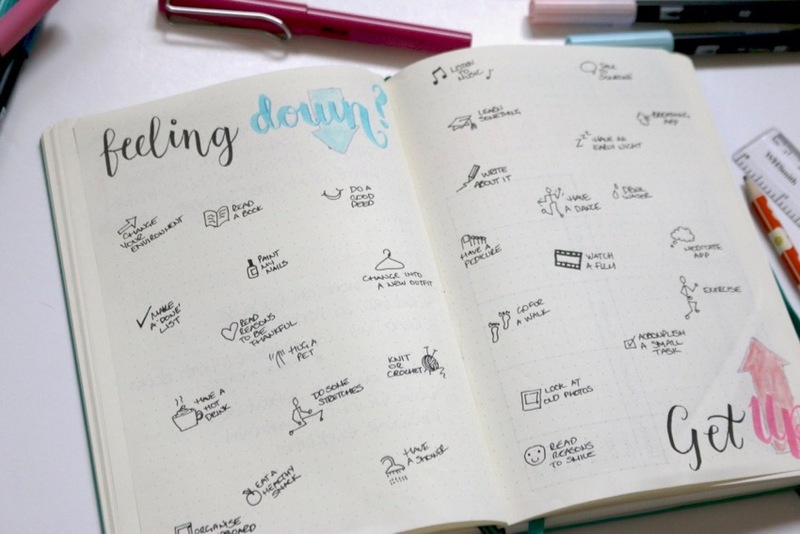 But if you are already bujo fan, I'd love to hear how you use yours and what your favourite or most useful spreads are. I love seeing and hearing what other people do! Oh, btw, the bullet journal 'tools of the trade' (stationary/pens/etc) and the brush lettering thing is probably a whole other post of it's own. If anyone is interested, I can share if you you'd like? Inspiring! Your brush lettering is very lovely. 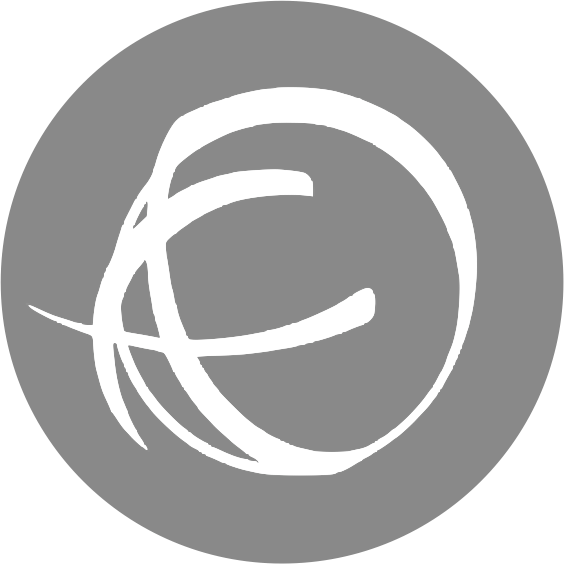 I enjoy your presentation style and would enjoy your take on your tools. I am using my bujo for the extra things: trackers, craft project log mostly. I've not been particularly colorful nor artsy. 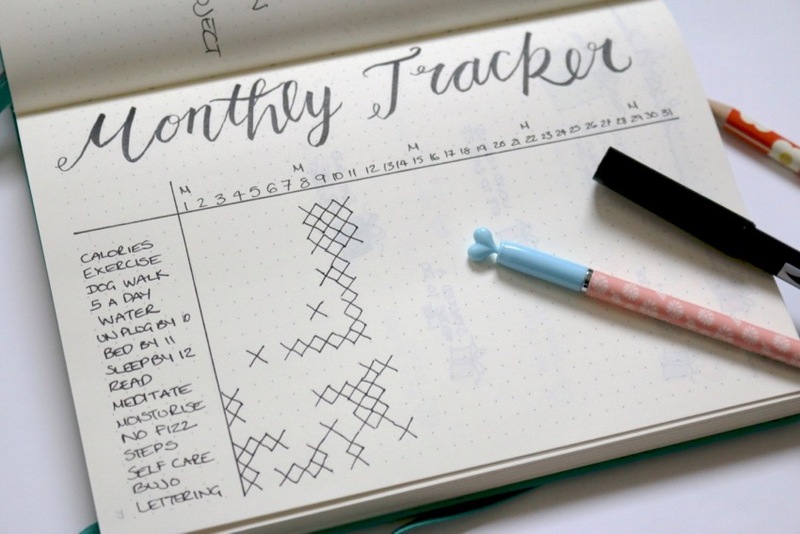 I'm having a hard time sitting still long enough to make a tracker grid, but I think I would benefit from taking the time to introduce a little creativity. Thank you for sharing your creative life with the community. Yes, I know what you mean. It's not always easy to set 'achievable goals' is it? I try to take it easy on myself and go for something I think I will manage and then if I find it too easy, try something more challenging next time. Motivation and pushing ourselves is good, but we have to be kind to ourselves too I think! I started this new year with a fresh new Leuchtturm in the same colour as yours. In April last year I've started with this BuJo thing and it took a while 'til I found my way, but now I'm totally in. That was actually the most useful and informative stuff I've read on bullet journaling I've read. I'm nearly persuaded. I have to be careful as although I am very disorganised as well as unproductive (lazy), I actually feel weird if I do 'too much' stuff as it makes me feel overwhelmed, which doesn't make me feel good about doing stuff at all. I start wondering on the point of what I have done and often there isn't one and then I wonder if it wasn't just busywork. I do make lists,as I am so very forgetful but nothing else seems to allow for the fact I am all over the place.The journals, planners etc that you buy never seem to have anything in common with me. So I just dump things in note books which get filled with anything and everything. They work somewhat, except I don't know where anything is in them. A 'common place book' I think it's called. Mine has all sorts of snippets I collect like quotes or websites etc., as well as important info like passwords and stuff to do. Perhaps I should get myself into better order and start a bullet journal. Would love to know your pens, felts tip etc and if they go through the page or not. Great post, Sandra! I looked at bullet journalling a year or so ago, but it looked just too complicated for me (I must have looked at the official site). For years I've been using an A5 page-a-day diary as a planner, with my to do lists, appointments, expenditure, and more recently adding a few sentences about my day. It is always untidy, because I cross through the things I've done. But I've been finding that it doesn't do everything I need. I've been wanting to record books I've read, or want to read, track fitness progress, and write meal plans, and thought I'd have to have separate notebooks for these.Your post, and the link to the WTF post, which linked on to another post...has given me the answer! If I can actually figure out how to do it, it looks like a bullet journal can do everything I need all in one place! Amazing! 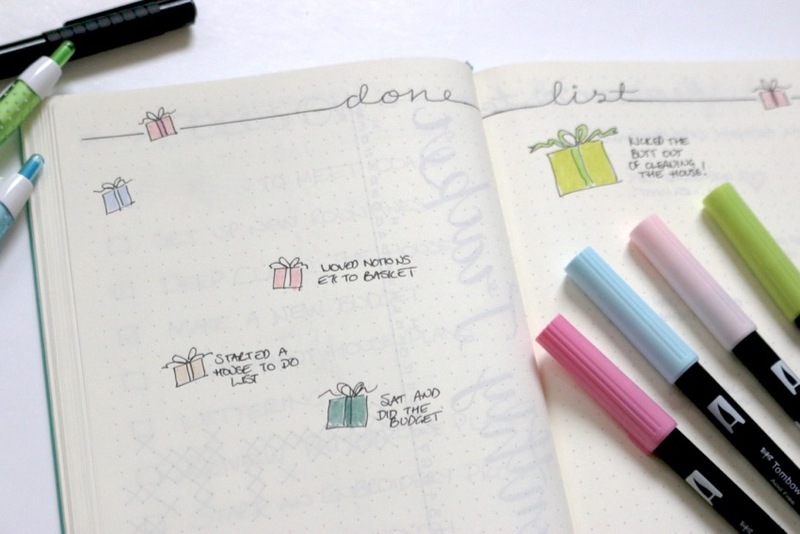 Though I may just find I spend more time doing the journal than anything on the todo list! I look forward to reading about your pens etc. Thank you! Rally lovely post, thanks for sharing! Thank you Sandra, you have really inspired me (but then you always do!) There are a few areas in my life that need a bit more monitoring and organising. 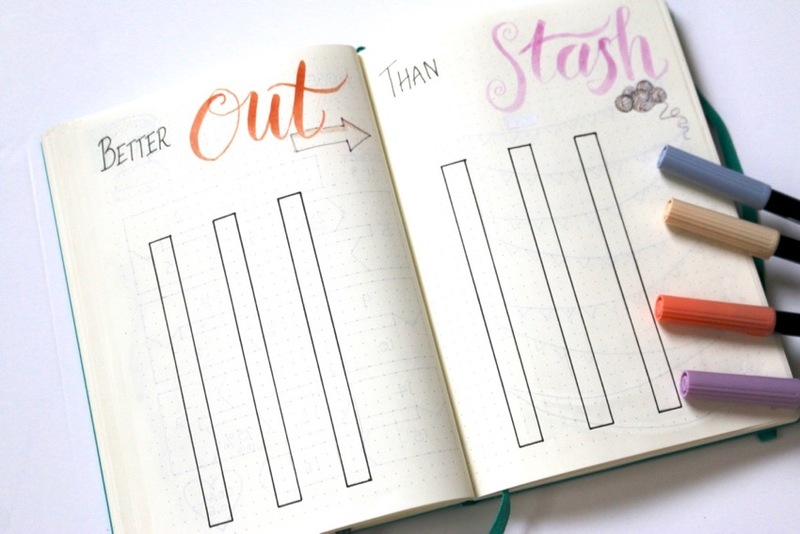 Whilst I won't 'buy' any stationary or the like as that is one area of my life that needs urgent attention, I will dig out bits I've got and have a go at the bullet journal. I like that you said it could be anything you want it to be. Ok so I just ordered a journal. I wanted the dotted pages!!! What can I say???? I haven't bitten the bullet (ha!) yet, but I get more and more tempted as time goes on. I loved this post and seeing how you use yours, so interesting and inspiring! It would be great if you shared more about your lettering and the tools you use. You don't need to wait until next year. Just grab a notebook and a pen and give it a go! start with a cheap one so you don't mind when it looks messy, which is totally ok. Just try it out and after a few weeks or month you now what works for you and what doesn't. Are we all so unfocussed that we need tutorials to be creative? Another mini industry has just been created using the recommended journals, pens, stamps, etc. Would be nice to see what you use, and maybe some reviews?